High View is a substantial bright and airy detached house situated in Dartington to include 4/5 bedrooms, double garage, off road parking and large front, side and rear garden. Dartington is a much sought after and charming village located on the outskirts of Totnes allowing easy access to local schools and to the A38 Devon Expressway, linking Plymouth and Exeter where it joins the M5. The village boasts a thatched public house, a local church, village stores and a post office. High View has been extended to include a beautiful garden room which provides the perfect space to sit and enjoy the mature large garden which has front, side and rear components with lawn area and decked terraces. The property benefits from 4/5 double bedrooms, two light reception rooms, a spacious kitchen/breakfast room, study, double garage and off road parking for many vehicles. 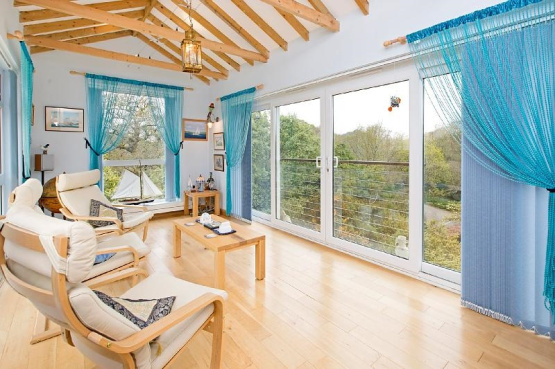 The property benefits from a Solar PV system and has panoramic views of the countryside. High View offers potential to create ancillary accommodation out of bedroom 5 combined with the double garage. This room is currently used as a studio but is a large versatile space that offers scope for a multitude of uses such as a games room or conversion to a self-contained annexe. High View is offered to the market with a guide price of £595,000. For further information please contact Marchand Petit’s Totnes office on 01803 847979.